This is a NEW 10 inch Wall Clock. Made in the USA! 1aa Battery required but not included. Photograph on Wall Clock is Printed in Full Color. If this Auto or Motorcycle image is not the color you are looking for, please email me I may have what your looking for! I have database of 1000's of photos. These Wall Clocks make GREAT gifts!! You can mail me or email me your own photo and I can put that on the Wall Clock at no charge. I will also Personalize any Wall Clock at no charge with your name, favorite phrase etc. You can also send me your own photo to use on your clock free of charge! Thank you for looking at my items and if you have any questions please email me. After purchase please email me with the name that you want on your Thomas the Train Wall Clock, otherwise order cannot be filled in a timely fashion. 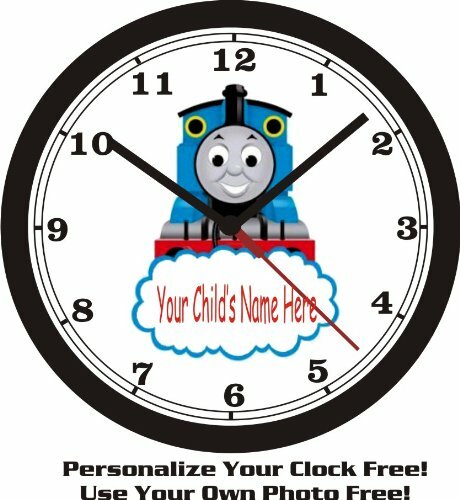 Please Email name for Thomas the Train Wall Clock After Purchasing! If you have any questions about this product by Muscle Car Memories, contact us by completing and submitting the form below. If you are looking for a specif part number, please include it with your message.